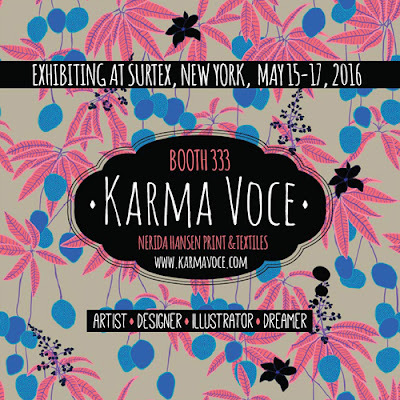 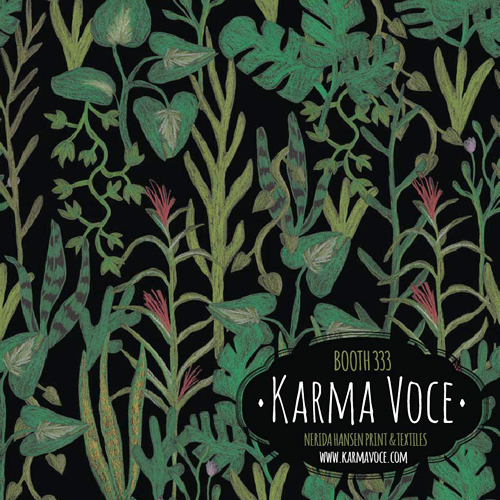 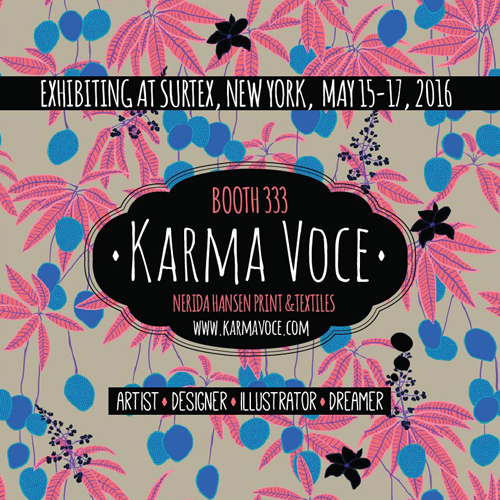 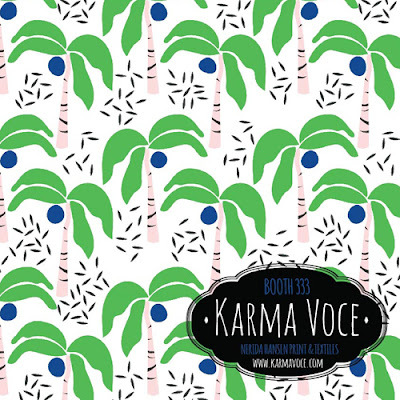 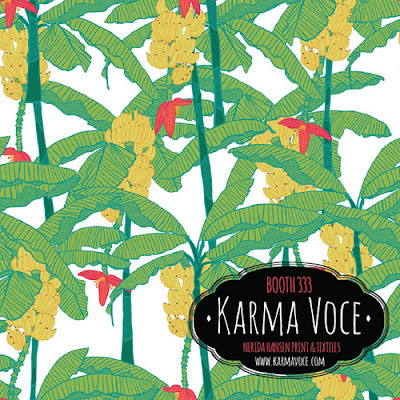 2016 will see designer Karma Voce making her third appearence at the Surtex show. 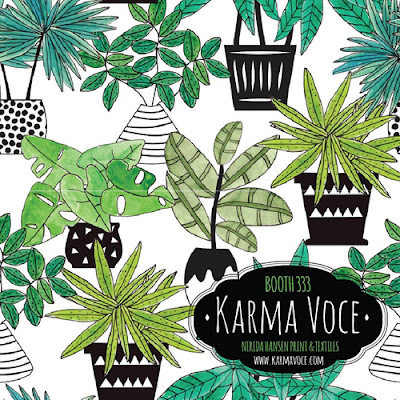 For the last 2 years she exhibited with Forest Foundry Art Collective, but this year her work will be represented by a new agent Nerida Hansen Print & Textiles from her home town of Melbourne. Kat Kalindi Cameron and Katy Tanis of Forest Foundry will also be exhibiting their work with Nerida’s booth this year.